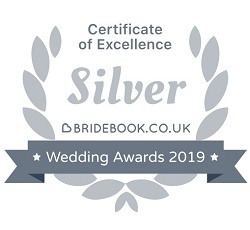 I have provided a wedding DJ service in venues across Ashford including Eastwell Manor, Ashford International Hotel, Sandyacres Sports & Social Club, Eastwell Park Boat House, Julie Rose Stadium, The Conningbrook Hotel and The Secret Garden in Mersham. I've attended several weddings at Eastwell Manor over the last ten years. Each time I've setup in the pavilion (where the spa is) during the wedding breakfast so that everything is ready for the evening when you are. The estate is set a few miles north of Ashford an benefits from being in the garden on England, yet conveniently located around 10 minutes from the M20. This little gem is located in the Kent countryside a few miles to the south east of Ashford, in the rural area overlooking the Romney Marsh. When I was here I setup in the bar area, in the main part of the house, while the wedding breakfast was taking place in the adjacent marquee. Set in the outskirks of Ashford, the Secret Garden venue offers a scenic garden area for any function. I've setup in the main building before for a smaller wedding and another time in a marquee in the gardens. When using the marquee I'm able to drive up outside the marquee to setup in the separate entertainment section of the marquee, which is hidden until after the meal. In the main building itself there usually isn't the space to setup until the meal has finished and some tables cleared away. When setting up in the main building it's vital I remember to bring my trolley as there's a short walk from the unloading area to the restaurant. Set in the same estate as Eastwell Manor, the boat house offers a smaller venue with stunning views across the lake. The venue is split over two floors allowing the ceremony to take place upstairs before guests decend to the eating and disco area. The hotel offers a range of different function rooms to cater for all sizes of events. For weddings, I've setup in the middle sized room (the Canterbury suite), with the benefit of the dancefloor being partitioned off to allow me to setup during the wedding breakfast without disturbing anyone. Set on the north west outskirts of Ashford, the Sandyacres Sports & Social Club is tucked away and offers a perfect wedding venue overlooking the sport pitches. When I was DJing there in summer 2015 they even had a bouncy castle setup outside to keep the kids (and big kids) happy. I setup on the stage which allows me to setup in advance, provided the top table isn't placed here. I've been here several times and prefer to use my own sound system rather than the venues (I prefer to use my own system as I know how it all works). By day the running track may well be the centre of attention, but the function room offers a nice function space for weddings and can be made smaller for kids parties. I was at the Conningbrook Hotel a couple of years ago and setup in the smaller function room, which was initially closed off so that I could setup during the wedding breakfast. I've had a couple of weddings here, setting up in the upstairs bar area. Access for the DJ can be either through the main doors and up the stairs (which I find easiest) or from the fire exit at the side. Located just off Brookfield road (B2299), the hall is located next to the church. Access for my equipment is through a fire exit from the rear car park straight onto the stage. This is a popular venue for families looking for a day out and always offers the facilities for wedding receptions with on site catering.I've done a couple of weddings here and can either setup in advance or in the evening depending on the number of guests. Access is easy for my equipment, either using the courtyard or side road depending on the time of day.The bar is located in the main room so it's all nicely self contained. The Holiday Inn (Ashford Central) is off the A28 in Kennington. I've been here several times, setting up in the function room at the front of the hotel which makes it easy for me to load straight into the room while the guests are eating in a separate dining room.